Jedi Shada, Quad Form -- [May 1, 2013] Date taken from my LiveJournal. Since Star Wars Day was going to fall on a Saturday in 2013 I wanted to make a shirt to wear up at the barn. 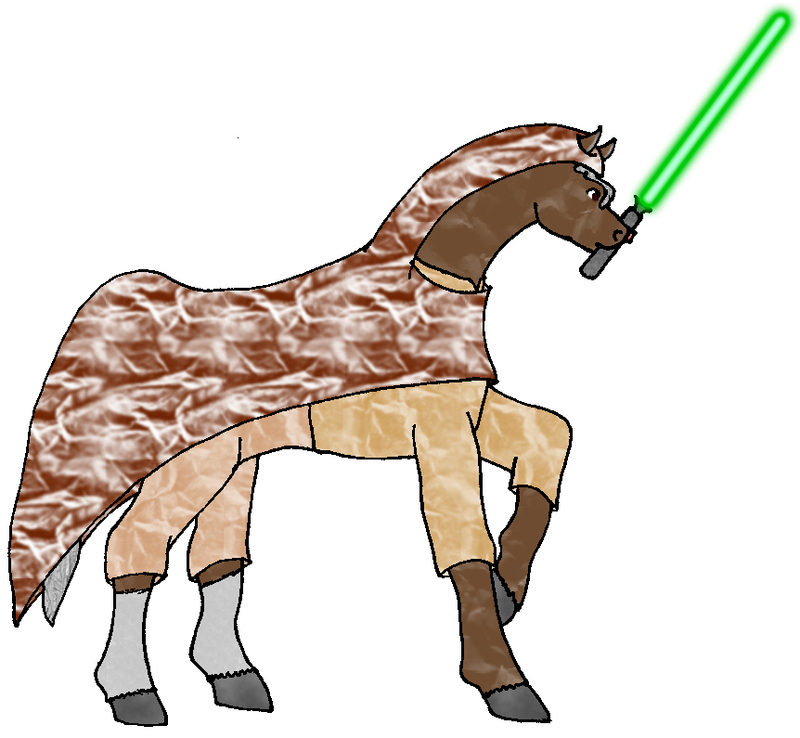 I wanted to draw my horse as a Jedi, but I couldn't decide if he should be normal or a Delphin, so I drew both. I did this quadruped form first. 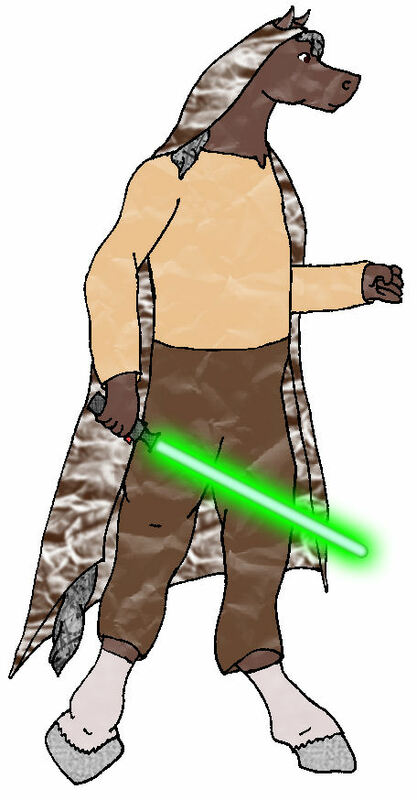 Jedi Shada, Delphin Form -- [May 2, 2013] Once I drew Shada's quad form, I drew him as a Delphin and tried to decide which to put on the shirt. The quad form won (back).